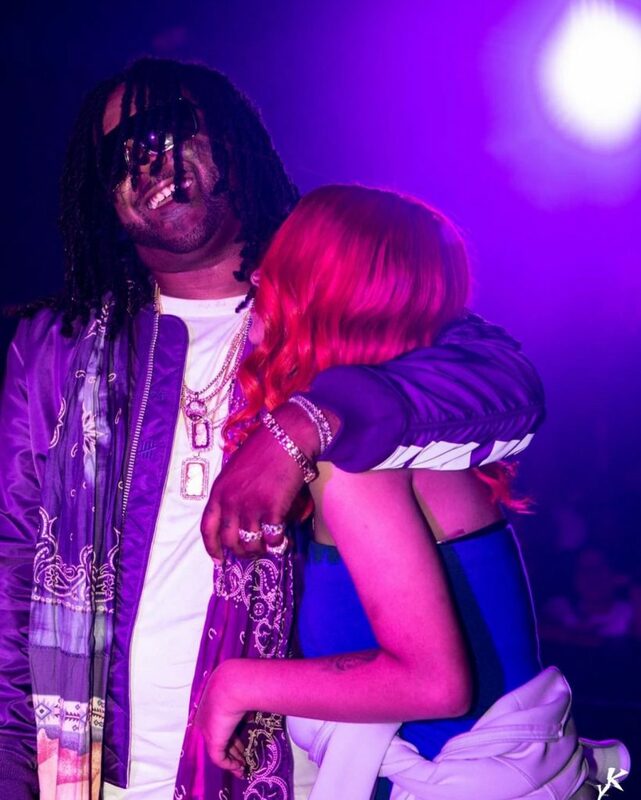 Reports have it that Los Angeles rapper 03 Greedo proposed to his long time girlfriend Kei Bradley at a concert on Monday night barely 48 hours before his prison sentence begins. The rapper surely will not wait until 20 years to propose to his girl as he can not afford to take that chance and lose her. Jason Jamal Jackson known professionally as 03 Greedo is an American rapper from the Watts neighborhood of Los Angeles, California. He began to gain recognition for his Purple Summer mixtape series which started in 2016 before he was given 20 years sentence last month for guns and drugs charges. 03 Greedo gave his last performance for now to a packed house at L.A.’s Belasco Theater and while performing his song “If I” on stage pop the question to his girl Kei who didn’t waste time to respond affirmatively to him. Could this be a trap for Kei who obviously knows exactly what she is getting into as she is fully aware of his 20 years sentence. Wonders shall never end as thoughts are fighting between if she actually will wait for him 20 years, or later ditch him for another. Let’s hear your thoughts on how you would react in such situation.